This is an odd numbered year, so we stayed in Haines this year for the Holidays with Holly’s folks. We did take a little trip up to Whitehorse, which was pretty fun. I neglected to make any reservations at any of the hotels, but it turns out that Whitehorse is not very crowded around Christmas time, at –21 degrees F, go figure. We decided it would be best to drive during the daylight hours to reduce the amount of boredom and fidgetiness along the way. As you can see from the clip below, sometimes this doesn’t not ensure an interesting drive. On the way home, we did see three elk and two moose. Here are the two moose. When we travel, especially, Holly likes to dress the boys in matching clothes. This is getting harder to do ever since Mark passed the size 5 rack. 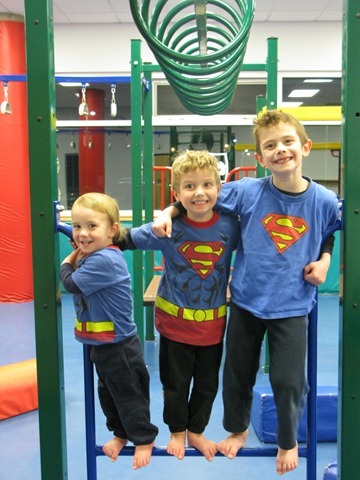 Often boys clothes of a certain type can be found from size 1 up to 5 that vary only in size, so it used to be really easy to get matching clothes for them. 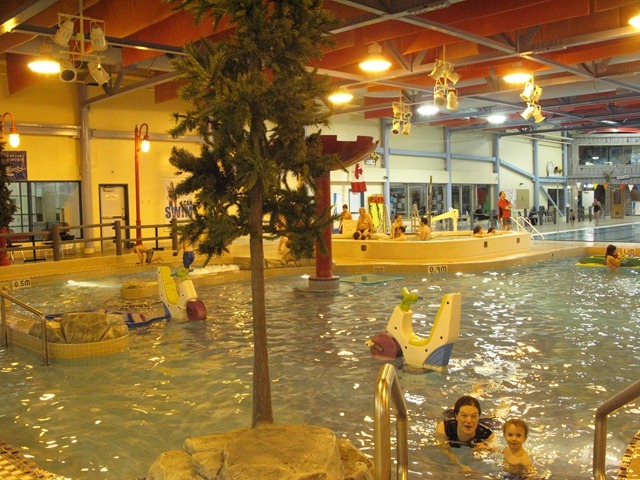 The main attraction at Whitehorse is the Games Center: CLICK HERE!! We like mostly for the pool and the playground area, but what we mostly saw the locals using it for was hockey. There seemed to be an endless stream of skaters coming and going until late at night carrying all their skating gear and pads in large rolling bags. Better them than me. My favorite area is the family swimming area. There’s a three story waterslide, a huge family wading pool, a 20 person hot tub, a steam room, and a sauna. The swimming area is about 1/3 of the size of H2Oasis, I’d say. One of our favorite new features is the Subway food stand which is right outside the swimming area. Here’s a link to our Christmas Letter (pdf) this year, which is actually pretty cool, if I may say so. We had it done, printed, folded, stamped and put into envelopes (but not licked) before Thanksgiving Day. If you want a printable size document to hang on the fridge, that’s too bad, because this one is only large enough to view on the screen. This was the first time I used Publisher to produce a document and did not use a template. I recommend a book to you: The non-designer’s Design book by Robin Williams CLICK HERE!! Today at the dinner table, we were talking about plane rides with the boys and were recalling that Nana and grandpa John told us that Christiane (one of the boy’s first cousins) went on her first plane ride last week when she was 7.5 years old. Holly and I had a good laugh at that one but could see how he came to that conclusion. Then we had to explain that Indiana doesn’t have water separating the towns like we have in Southeast Alaska and it’s much of the travel is done in cars there and in the rest of the lower 48. 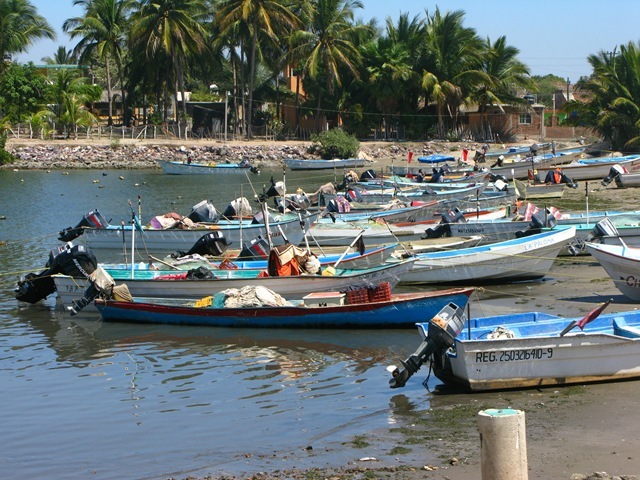 Mazatlan Dump with La Vina (The Vineyard Church) from Matt Davis on Vimeo. 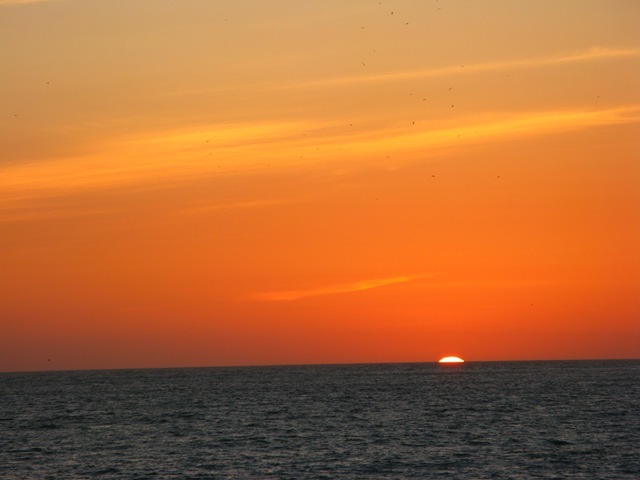 I like the sunrises in Mexico. 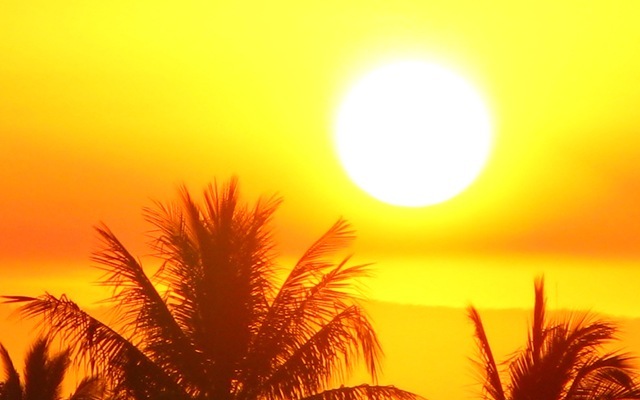 We don’t get sunrises or sunsets like that here in Alaska, or in Haines. This picture was taken with my point and shoot camera from the porch of our hotel room, looking out over the city to the east. The boys often got up for the sunrise with me. Was it actually this pretty to the naked eye? No. I underexposed the photo until I got what I liked. It got more yellow the more I underexposed it. This shot is straight out of the camera though. When shooting gradual colors like this it is important to shoot in RAW, as JPEGs tend to do poorly with large swaths of sky in any near homogeneous color. 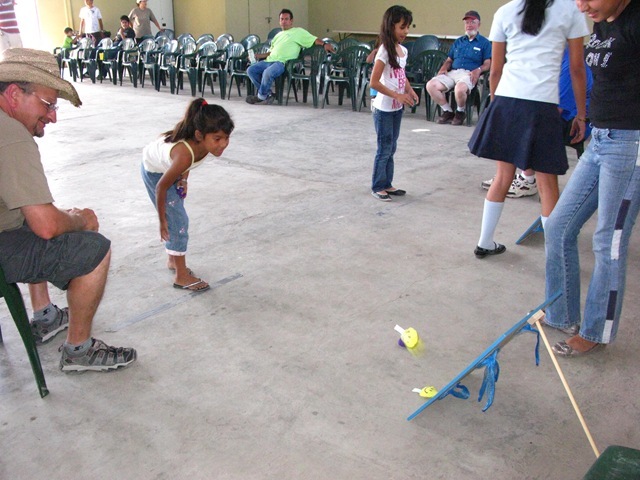 Today the plan was to go to Sam’s Club to buy supplies again, then do a dispensa in the morning at a Francesco I Madero, to coincide with the carnival games of the Iowa team who were on their last day in Haines. 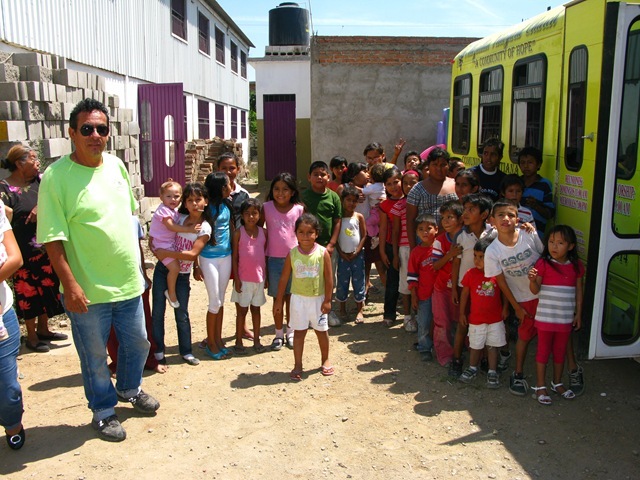 Then take a break for lunch and close of the evening with the mobile kitchen and the mobile school at another colonia (neighborhood) at Aztea, where there is still no building. 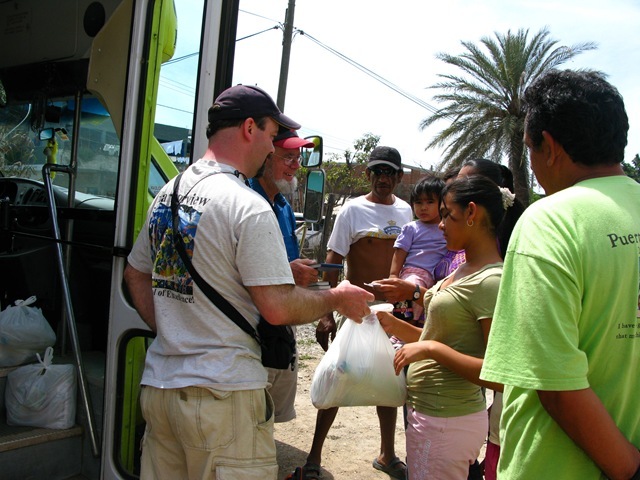 We took this van in the morning to head out to the church with our supplies after the stop in Sam’s Club. 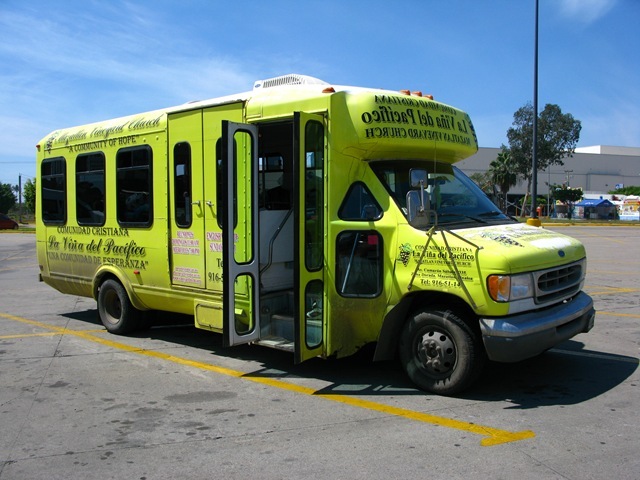 it’s a nice sturdy van which is much like the 24-7 shuttles the hotels use near major airports. Jorge, on the left below in the green shirt was the driver in the morning, but transformed into a multi-talented one man traveling puppet show, guitar player, DJ, sound man, singer, dance leader, PE teacher in the evening. He is gifted and is a hard worker for the lord. 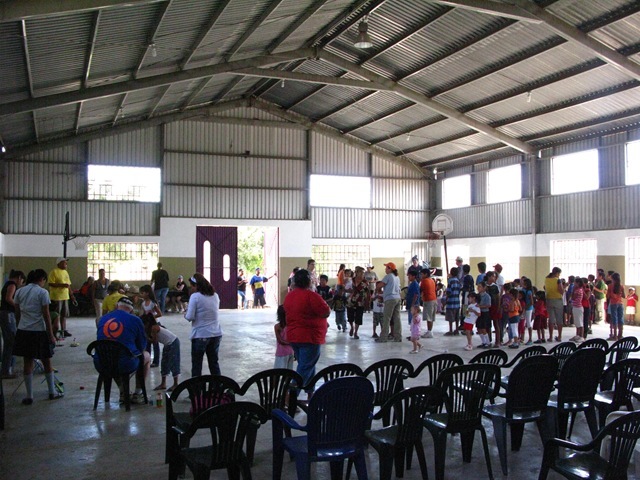 The Iowa group did the carnival games in the gymnasium, which consisted of multiple throwing games with prizes for the winners and actually greatly resembled our harvest festival, which the local churches in Haines do for the local kids on Halloween. There was no need for the mobile kitchen at this church because they have a commercial kitchen and lockable storage rooms already. Many of the Churches buildings are built like this with a concrete floor, steel superstructure, cement walls, tin roof and upper walls. Along the sides of the church they keep the furniture (chairs and tables). A local company builds the girders and brings them to the site and assembles them. While the Carnival was going on with the kids, Shannon Green, my folks, Jorge, and I were doing the dispensa from the van. My folks had bible to distribute. The dispensa went really well until one lady decided she wanted to get four bags instead of one, because her three daughters were all off working somewhere. I eventually just took her three tickets and she smiled, then I gave the three bags to three other women who hadn’t gotten any bags, then she went through the roof! She set down her bag and gave me a barrage of spanish I had no hope of understanding. Shannon was in the van giving me the bags one at a time and said to me, I’m glad it’s you out there instead of me! While she was giving me an earful, someone in line behind her sneaked up behind her and quietly took her bag. I have to admit, I was actually kind of thankful for that. I’ll write more about the evening later. What I really need to do is load up some of the videos I took, as that really gets the color and life a lot more than the pictures and words. 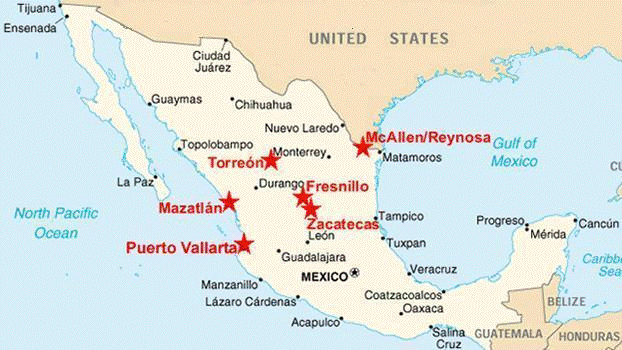 Here is a map of the different locations in Central Mexico where La Vina has ministries. We had a wonderful trip to Mexico. We went there with the Badgleys (fireman Al, Crystal, Hunter, and Serena), Jacque Horn, Shannon and Rebecca Green, and my folks who met up with us in Los Angeles. Below is the recently painted Church in the Golden zone (tourist zone). 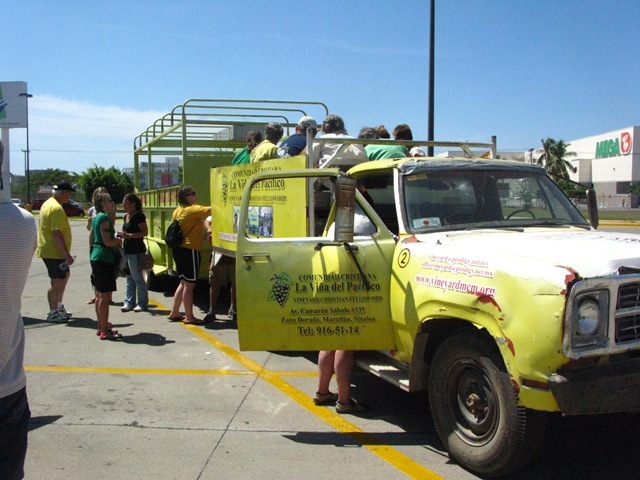 All of the Vineyard vehicles are painted with this same scheme: Bright yellow, with blue accents. The Iowa had T-shirts like this. The main purpose of the trip was to go on a mission, the second goal was to get out of Alaska to someplace warm to thaw out for a while. 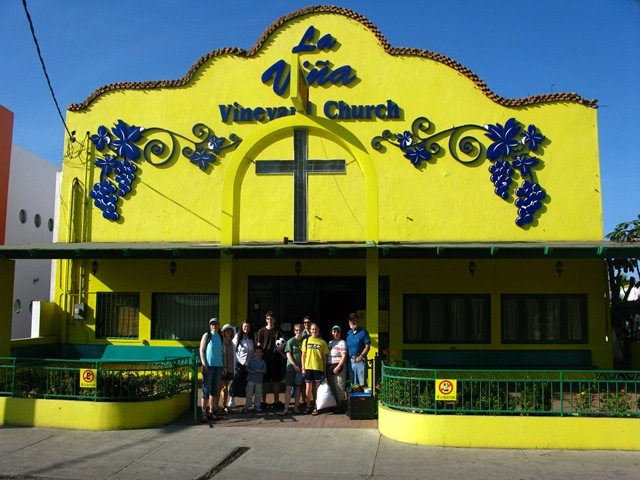 We interfaced with a church group down in Mazatlán called The Vineyard, or La Vina in Spanish. 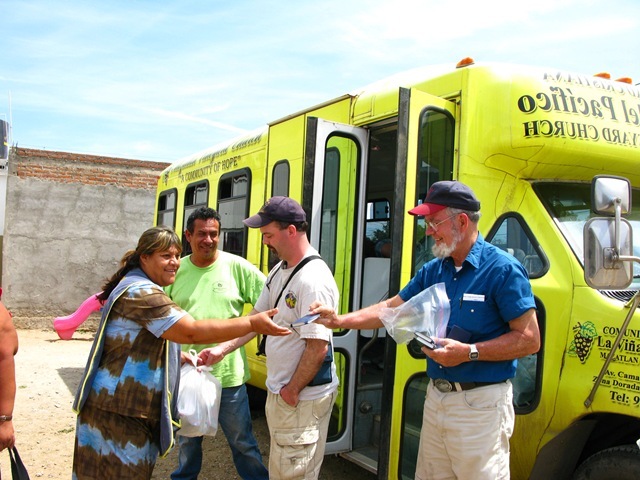 One of the interesting things about going on a short mission trip is what really happens is you help the people that are already there working. 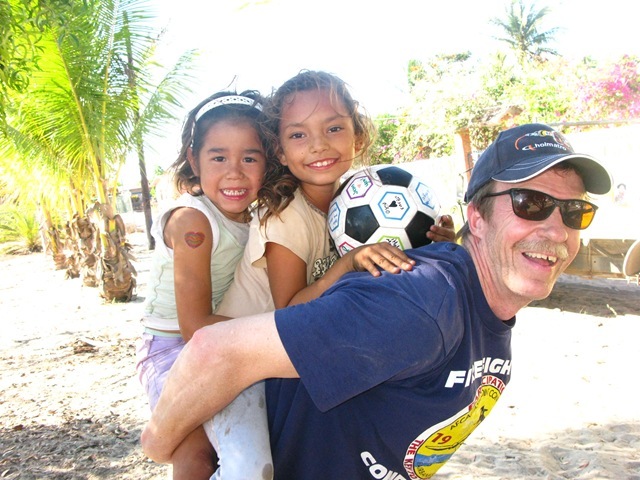 Thankfully, the David and Jorge had lots for us to do. Here we are lined up in front of the church on our first day. Al and I are not in the picture since we’re taking pictures. L to R; Crystal, Shannon, Mark, Hunter, Serena, Jacque, Rebecca, Peggy, and John. I’m not sure where Luke is, but John Caleb is on my back as I took the picture. 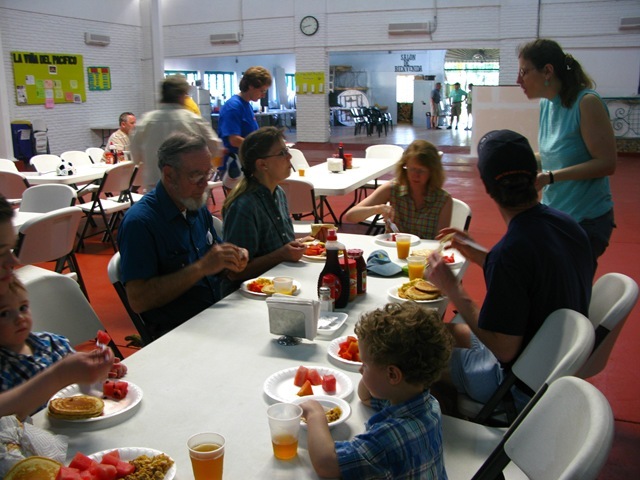 One thing that surprised me was the Vineyard church had a huge breakfast ready for us with fruit, pancakes, eggs, hash-browns, cereal, and juice. We got to meet the local greeters and the couple that makes the breakfasts. 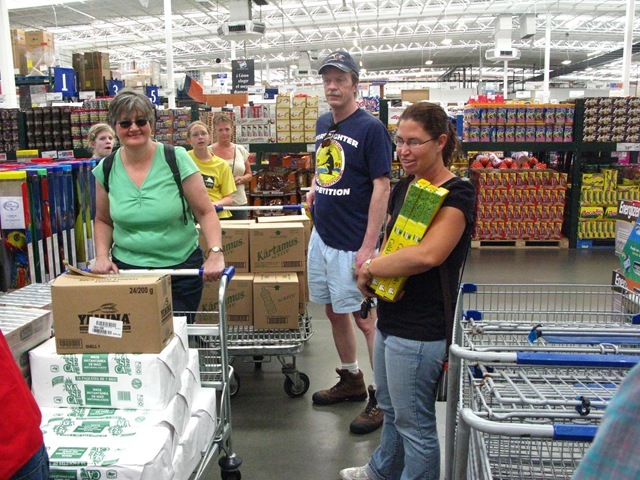 Here’s Lydia directing us at Sam’s along with the Iowa team as we purchase the supplies for the first day of work. What’s interesting, looking back, is that we really have no idea what we’re in for at this point, but we’re confident we could do some sort of good. 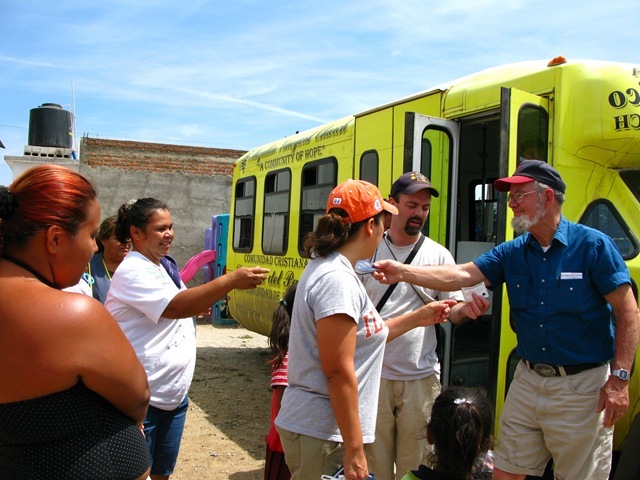 I’m very thankful that the Vineyard team in Mazatlan had work for us that we could jump in and do that would help them in some way. I was not sure what we’d be doing, but it was pretty clear when we got there what was going to happen. 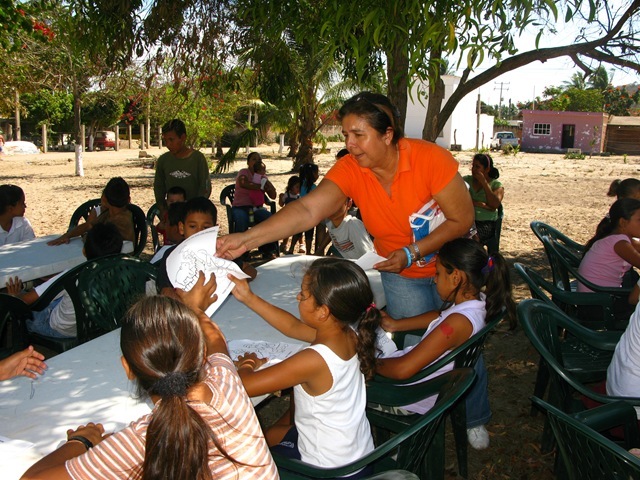 La Vina has properties in a number of the outer colonias where it is starting churches and our job was to go out and support the ministries with the mobile kitchen, dispensing groceries, or with the mobile school. 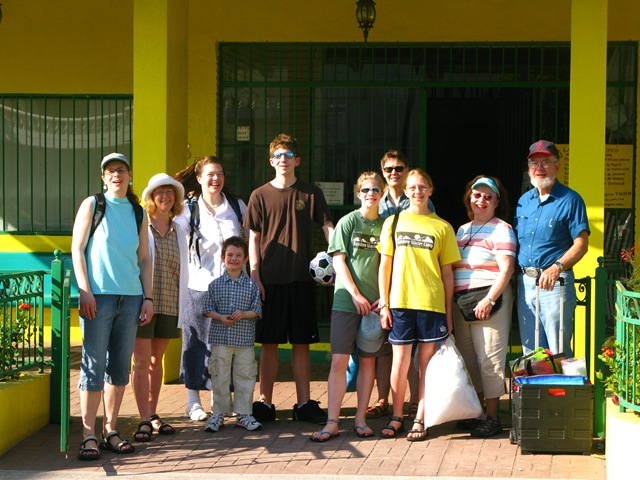 The first day, we met up with Lydia who works out at Stone Island as the local missionary. She had the shopping list in her head and lead us around Sam’s Club so we could buy food to dispense from the church in Stone Island (which is actually on a peninsula). The Iowa group was there on the end of their trip and bought the food for the mobile kitchen, so Al ran the grill with them. In these pictures of the mobile kitchen, you can see that it’s a trailer with stainless Steel working surfaces and a grill. The white plastic bags are loaded up and ready for the trip out to stone Island. 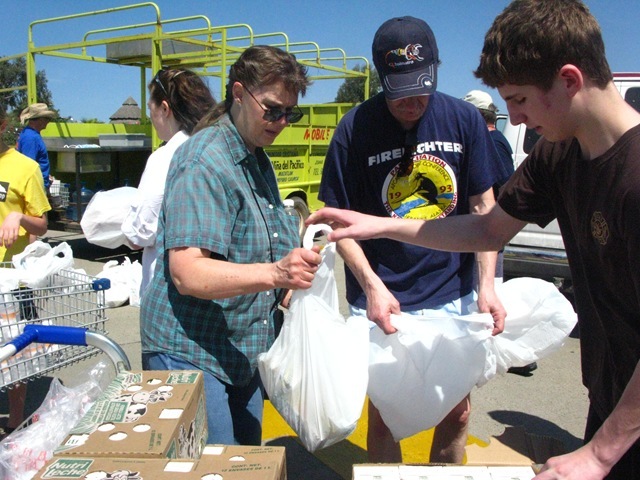 In the picture below, we are doing an assembly line approach to filling the bags with groceries. 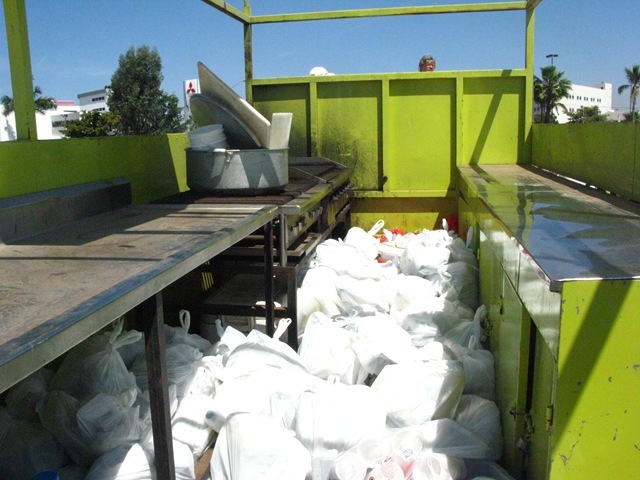 In each bag there was rice, vegetable oil, milk, pasta, sauce, and flour in each bag. The truck drove around the long way to stone Island while we went on little commuter boats over to the island. 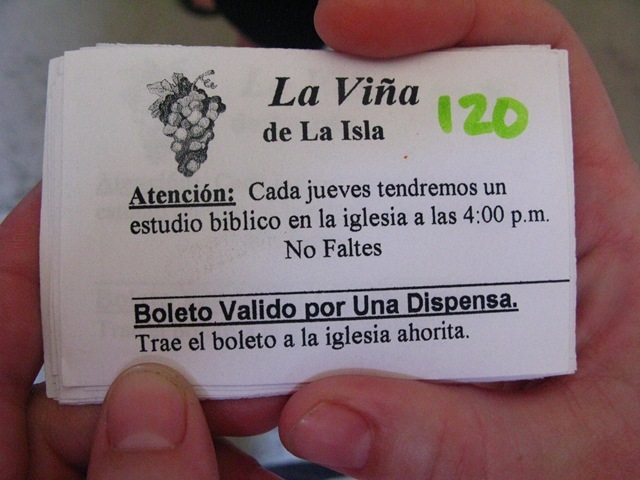 When we arrived, we were split into teams so we could pass out the coupons for the dispensa. 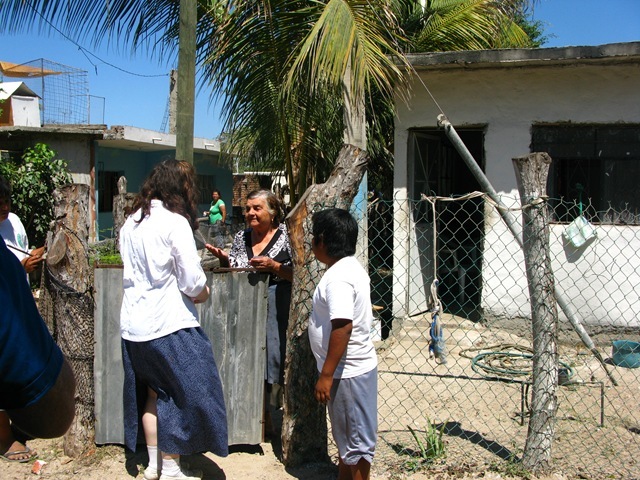 We were teamed up with Andres as we walked around to the different houses during the heat of the day going door to door to hand out coupons. Many of the people didn’t want just one coupon, but tried to get more than one, saying their sister or mother was not at home but needed one. 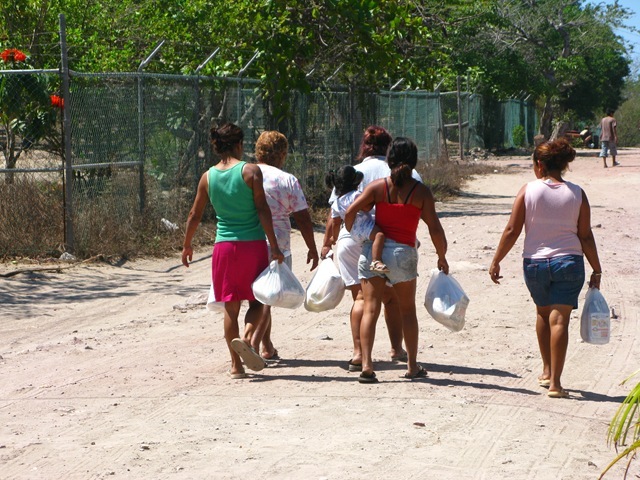 To receive one bag of groceries, the mother or father of the household has to show up at the appointed time at the local church. After that comes the hot lunch, then the rest of the program: at Stone Island, there was a women’s prayer group. 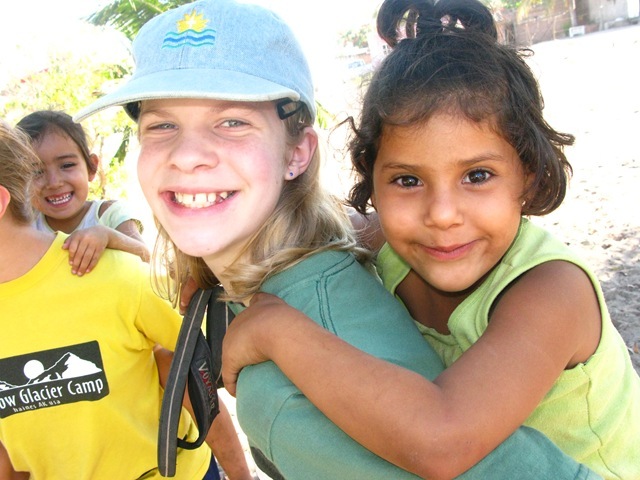 The town is made up of homes that are very small and the roads are dirt. 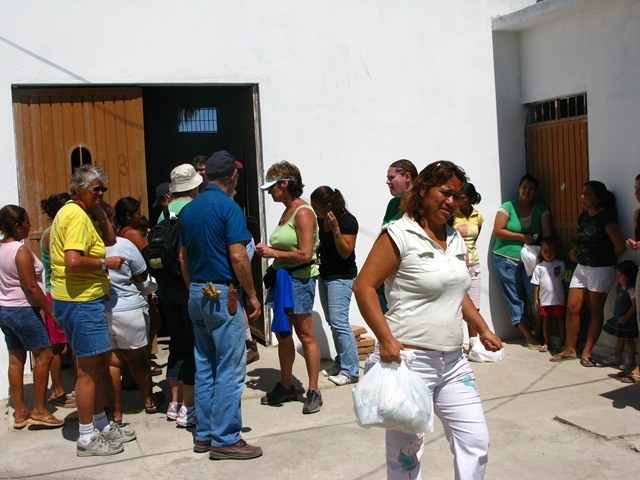 Many of the houses did not have men at home when we went by giving out the tickets to the families. The houses varied greatly in size, quality, and lot size. Nearly every house had a clothes line for drying clothes in the hot sun and gentle breeze. Many of the people used ATVs to get around within the town, mostly Honda Quadrunners. Here is Ama, the local lady who works with Lydia at the Stone Island Church. The church building is brand new, from all appearances, and is off to a good start. From what I could tell it is one of the few buildings in town that is not covered in graffiti. From what I was told, the water system in town is not really built to give enough demand for the daytime usage, so many people have these large black tanks which are filled up slowly during the night. With the tanks up high, they have plenty of pressure at the faucet for normal use during the day. The big blank tank on the second story is for holding water during the day. The brown doors are heavy steel doors that can be securely locked. Anything not locked down tight is at risk to theft. Below is a typical house of the neighborhood. Many of the houses had fences of some sort around them. 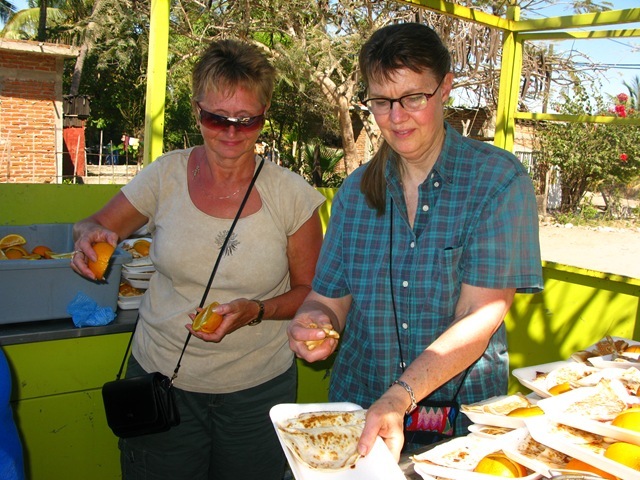 The mobile kitchen made plates for lunch that had two quesadillas, 1/2 an orange, cookies and a glass of ice-cold water. While the cooks were making lunch, the rest of us tried to help out with the coloring project, moving chairs or tables, or trying to keep order. Here’s Al running the grill, while Jacque and a lady from Iowa fill up the plates. 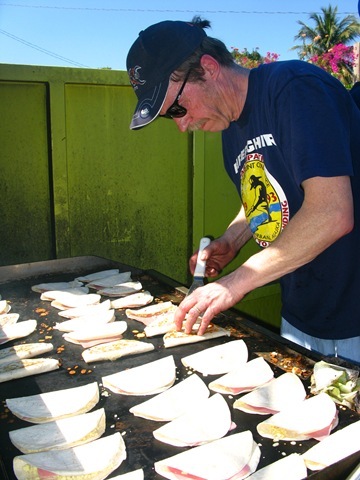 You can see Al has room to cook 36 quesadillas at a time on the big grill. The dispensa was at 1 PM and then there was a coloring time along with the lunch, which was followed by a women’s prayer group time. 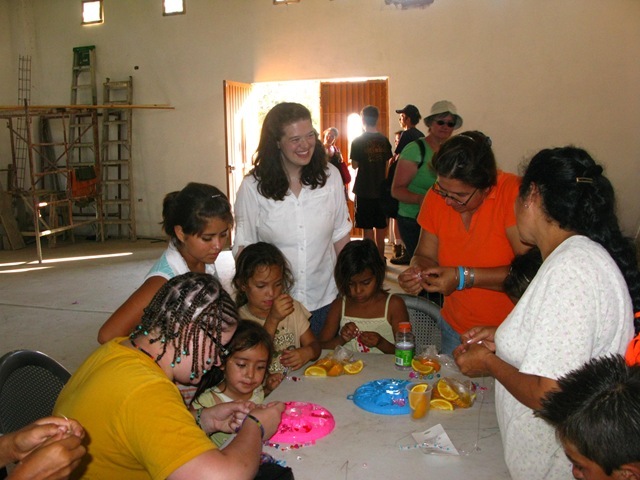 The shot above is Holly talking with the folks that worked with the kids doing bead projects with the women. The church had the same type of plastic topped tables that we have at our church, and they have the same type of plastic stacking chairs that are common throughout the US. 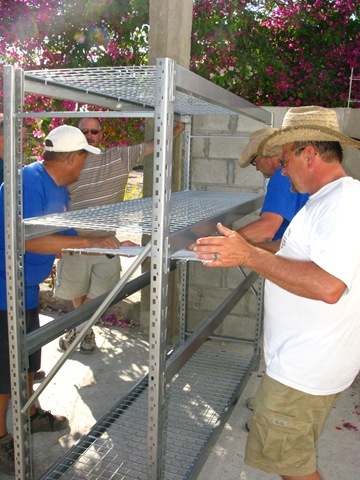 While the women were in the church, the men put together a new shelf to organize the stored supplies in the back room which is kept locked and has things like toilet paper, teaching supplies, cleaning supplies, etc.. 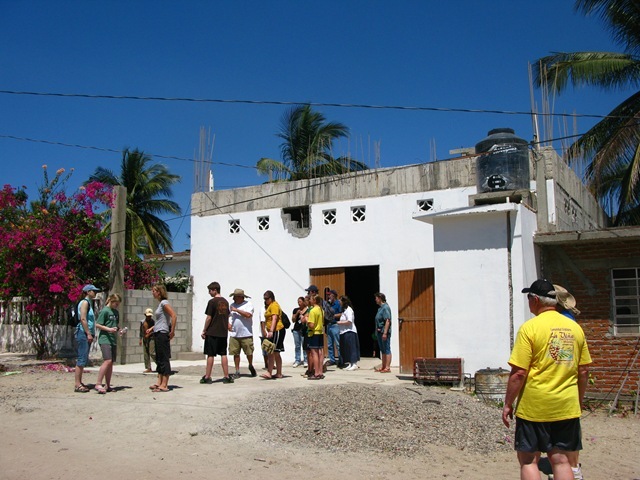 There are two back rooms in the church a small one for the supplies and a larger one has a refrigerator and will will be a kitchen soon after the rest of the appliances, countertops, and shelves or cupboards are installed. There was one set of chairs to use outdoors and another set to use indoors. 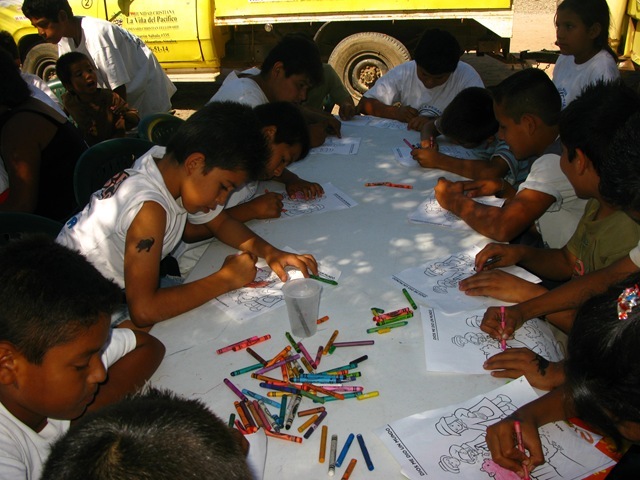 My mother brought a bunch of crayons and coloring papers depicting scenes from the bible and we used them with the La Vina’s supply so so the kids could do something while the food was being cooked and tell the stories behind them. In some places this worked better than others. After the long day at Stone Island, we watched the sunset and went out to eat dinner at the Gus Gus restaurant near our hotel. Does anyone CARE what I ate for lunch? Usually, I just eat the cheapest, healthiest meal I can find that will leave my blood-sugar level at an even keel. And usually, that’s two bean & cheese burritos that I buy by the package at $4.80 for 10 burritos. I love this meal, because it’s cheap, easy to fix, relatively healthy, and does not put my on the blood-sugar roller coaster. But today, I was in Anchorage. And I wanted to go to Red Robin. 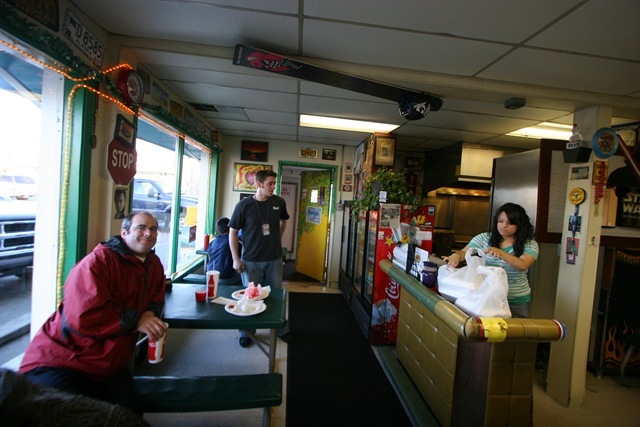 I told Jack to take us to the place in town with the best burgers and was expecting to be taken to some national chain restaurant with a clean floor, tons of space, a TV going in the background, and a few options. Instead, we went to a tiny little out of the way shop downtown. The building was lousy, the seating was minimal, the ambiance had left much to be desired, but was better than having a TV going, and the refrigerator was WAY too loud. But their burgers were Awesome. 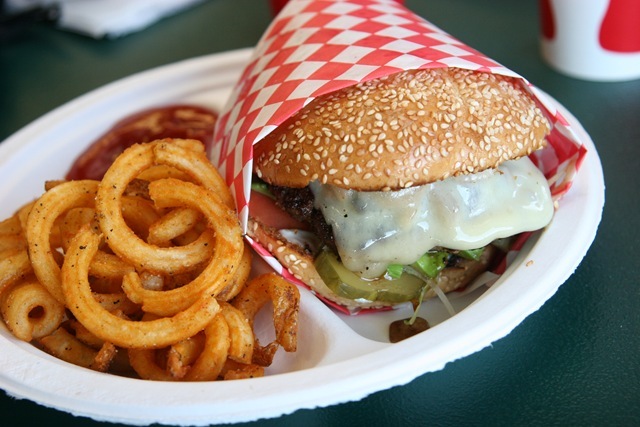 The thing I liked about the burger is that it had a dark, almost burnt crisp exterior, but a nice juicy red interior. I opted for the swiss mushroom burger, the curly fries, and about 14 oz of ketchup. It was really good, juicy, and messy. It was not crowded, but we weren’t there on a weekday.